The Special Police Officer (SPO), who decamped with seven AK rifles and a pistol from the residence of a PDP MLA in Srinagar, has joined Hizbul Mujahideen. 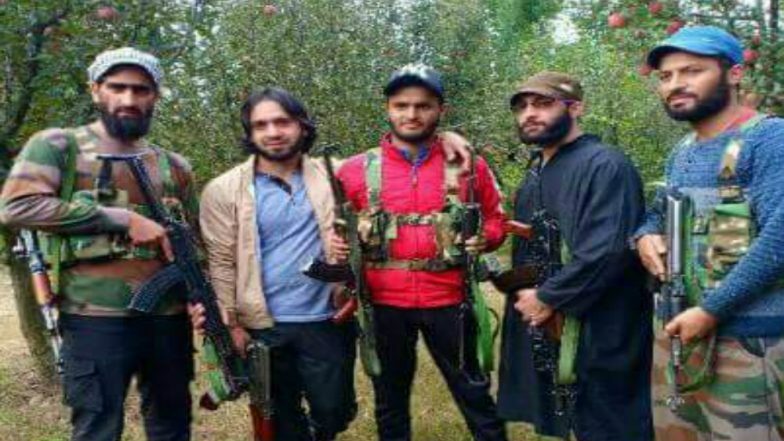 In a picture that has gone viral, SPO Adil Bashir is seen posing with two AK rifles with four other Hizb militants, including top commander Zeenat-ul-Islam. Seven AK rifles are also on display in the picture. Bashir had fled with seven AK rifles and a pistol from PDP MLA Aijaz Ahmad Mir’s residence on Friday. A senior police officer said the force was checking the veracity of the photographs in which Bashir can be seen with Hizb fighters. “We have conducted raids at many places in south Kashmir to nab the deserted SPO,” the officer said.